All the places for the Christmas lunch have now been allocated. If you do turn up on the day as we can't guarantee you a place. We look forward to seeing everyone on the 9th in your Christmas jumpers! This year's calendar will be available at the Red Rose Christmas lunch at the bargain price of £5! Or email trredrose@hotmail.com to place your order. We have a smaller print run this year so get yours early to avoid disappointment. They make great Christmas presents! Once again the Classic Car Show at the NEC proved to be a very popular event. The stand was looking good and there were some nice cars on show and lots of trade stands to browse around. This year the TR youth team had a stand for the first time and they did us proud by winning a prize! They are the future of the club and should be commended for all the effort they put in to making the stand look so good. The November Red Rose meeting could only mean one thing the annual Quiz! Thank you to David Rhodes for once again taking on the role of quiz master. The questions this year were all related to 1968 which is the year David was born and as usual they were very difficult with no team getting a perfect score but the many brains in the winning team came close! A few faces we haven't seen for a while made a welcome return and we had our usual raffle and updates on forthcoming events. Over the last few months we have actively been seeking feedback for this event so it is with regret that due to lack of interest and support The Red Rose Weekend will not be taking place next year, however if anyone has any suggestions for an alternative event then please email us at trredrose@hotmail.com. 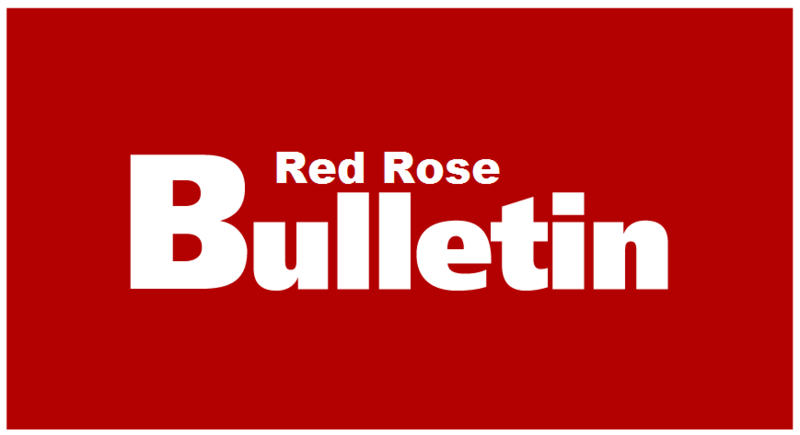 Since the last bulletin the TR Register has held its AGM and the Independent Review Panel has concluded its investigation – A copy of the review panels interim report and AGM notes are available to view on the TR Register Web site. Looking ahead to 2019 we have already started filling in our events calendar. We will start the year with the AGM so if you would like to be more involved in the running of the club why not come along and see if there is a role you would like to take on. February is our events meeting and we are always looking for suggestions, we particularly need ideas for Drive it Day in April and post meeting runs throughout the years so get your thinking caps on! The photo competition will be back in March so if you would like to see one of your car photos in the 2020 edition you haven't got long to snap that perfect picture! If you haven't already done so all members are recommended to log into the members section of the Register Website and sign up to receive email updates. It is an excellent way to be kept up to date of all the latest news and events posted direct to your computer. Anyone who isn't sure how to register click on the link below for Phil Moss's excellent guide on what to do. Thank you to those who have been contributing to the Red Rose Facebook page over the past year we have had quite a few new members join the group recently and they along with all our Facebook members will be entered into a prize draw at the January AGM. If you haven't joined yet why not do so and you could be a winner. As the year draws to a close no doubt many of you will be working on your cars and it would be nice to see some photos of what you're up to on the facebook page. Red Rose is changing and growing and there are lots of events planned each year to suit all of our members so why not take advantage of the opportunities the group offers and come along and join us at one of our meetings or events. All members are welcome.